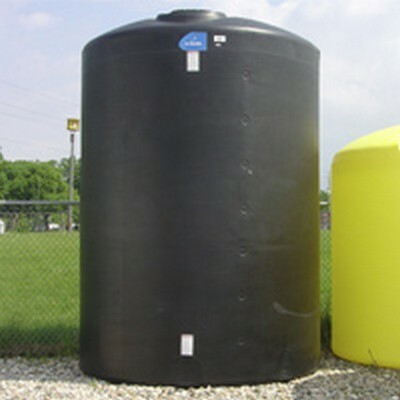 3100 Gallon Black Polyethylene Tank 102" x 103" | U.S. Plastic Corp.
HomePolyethylene Tanks Vertical Tanks Black Vertical Polyethylene Tanks 3100 Gallon Black Polyethylene Tank 102" x 103"
This 3100 gallon polyethylene vertical tank is 102" diameter X 103" height. 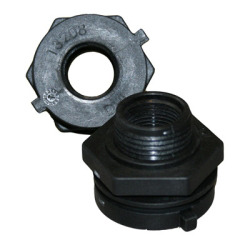 This tank comes standard with a 2" PP bulkhead with Santoprene® gasket and a 16 off center lid. Tank weighs approximately 552 lbs. and will hold up to a 1.7 specific gravity.